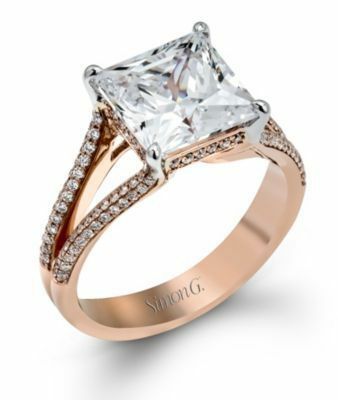 Alluring shimmer captivates this Glamorous Simon G. Engagement Ring. 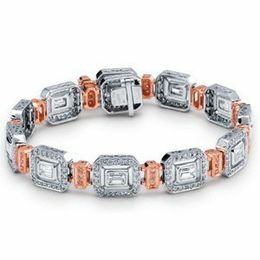 It is set in 18 karat rose gold and features a total diamond weight of .34 carats of round white diamonds, which compliments the princess cut center stone brilliantly. 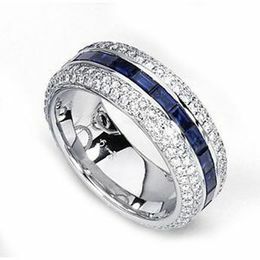 The split shank on this diamond ring displays a striking look.